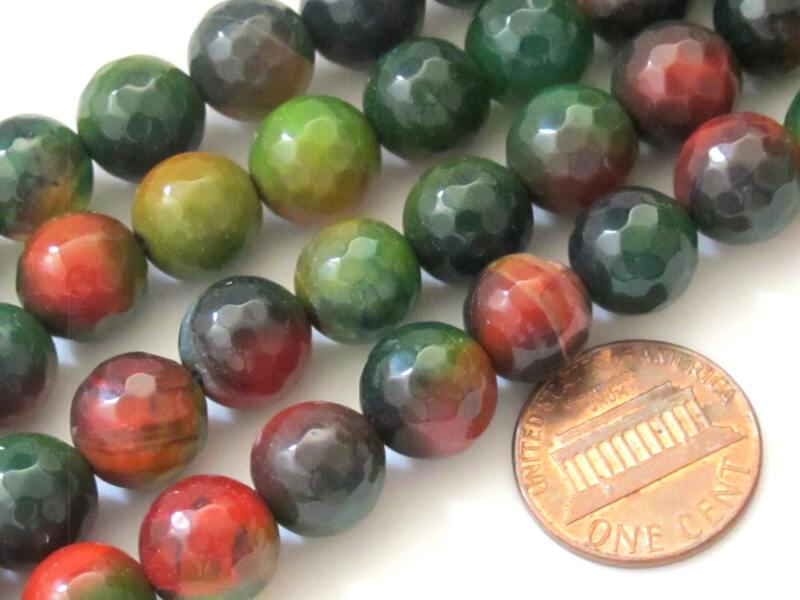 This listing is for 10 beads.High quality - Faceted genuine agate beads. 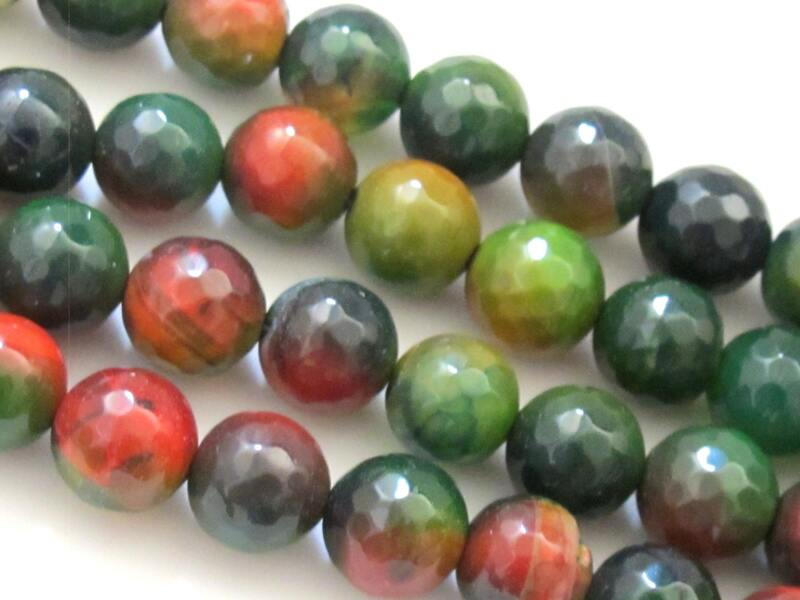 Varying color tones ranging from green , reddish orange to lime mix as shown in the images. Main stone color is Green. 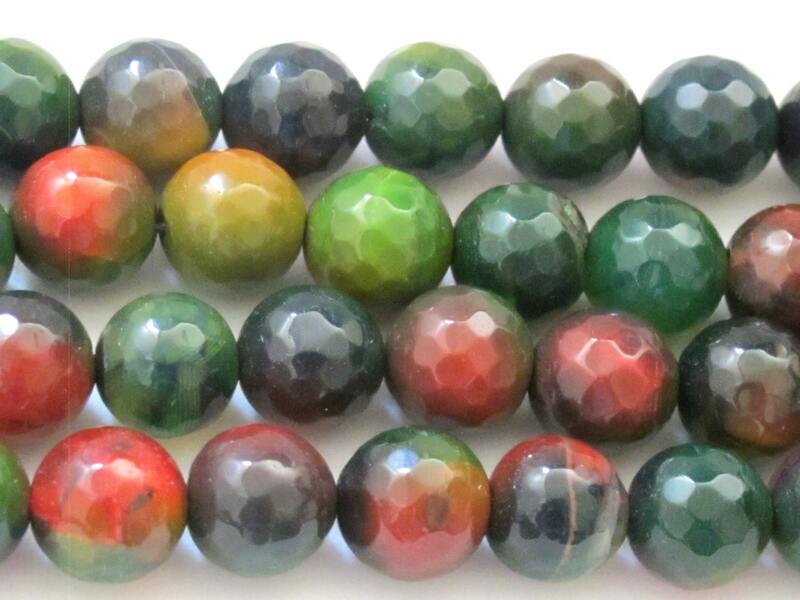 Each bead differs in bands /tones from the other.